'Instability Increases Arms Sales': Will US Weapons Return to Vietnam? Donald Trump’s twelve day Asian tour has come to an end and despite the North Korean issue, the main goal of this trip to Southeast Asia, the longest by any US president in 25 years, was to change existing US trade and economic relations. Sputnik Vietnam spoke to political analysts who shed some light on the future of US trade deals in Vietnam. According to Sputnik Vietnam out of the five countries visited by Trump four have a very significant trade deficit with the US, with Vietnam’s amounting to $32 billion in 2016. In order to reduce this deficit, the US plans to sell more to Vietnam and weapons are the most expensive product. Hence, it is hardly surprising that Trump suggested to Vietnamese Prime Minister Nguyen Xuan Phuc to buy US missiles and other weapons systems, stressing that the US makes the world's largest missiles. In 2016 then-President Obama lifted the embargo on the supply of lethal weapons to Vietnam. Moreover, a possible confirmation of military cooperation between the two countries will be the first ever visit of a US aircraft carrier to the Vietnamese port of Cam Ranh Bay, scheduled for 2018. "The hopes that the US will help Vietnam defend sovereignty over the islands in the South China Sea are very illusory. 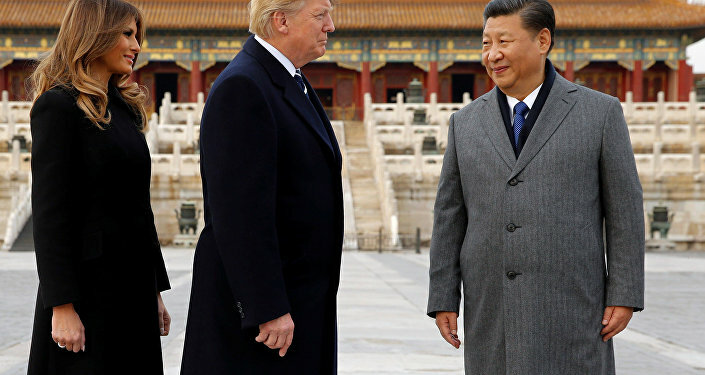 During his visit to China, Trump tried his best to please Xi Jinping, as he was more concerned about the state of US-China trade relations,” political analyst, head of the department of history of the Far East countries of St. Petersburg State University Vladimir Kolotov told Sputnik Vietnam. 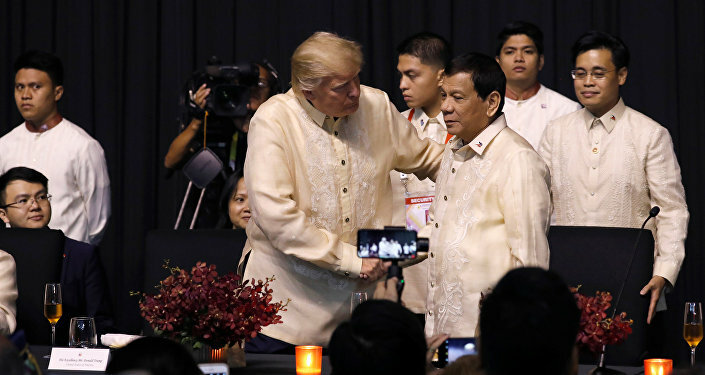 He also said that it is worth noticing how the US treats its partners in Southeast Asia, one example being the Philippines. “Currently the government of the Philippines is fiercely fighting terrorists and when it appealed to the US for military assistance, this assistance was denied. This help came from Russia. Recent events have shown that in many cases international terrorist movements are armed with Western weapons. The US uses these terrorists as proxy forces to solve their subtle tasks in all regions of the world where tensions prevail,” Kolotov said. According to the analyst, just a few years ago Southeast Asia was a place of tranquility which created conditions for its serious economic growth. Now the governments are fighting against terrorists ranging from the Philippines to Myanmar. “A long period of instability has begun in the region, and the United States is in favor of expanding the boundaries of instability. This of course will increase arms sales. It should be noted that they have already sold weapons to South Korea, Taiwan and Japan. But instability in the region has not decreased as a result,” the analyst added. 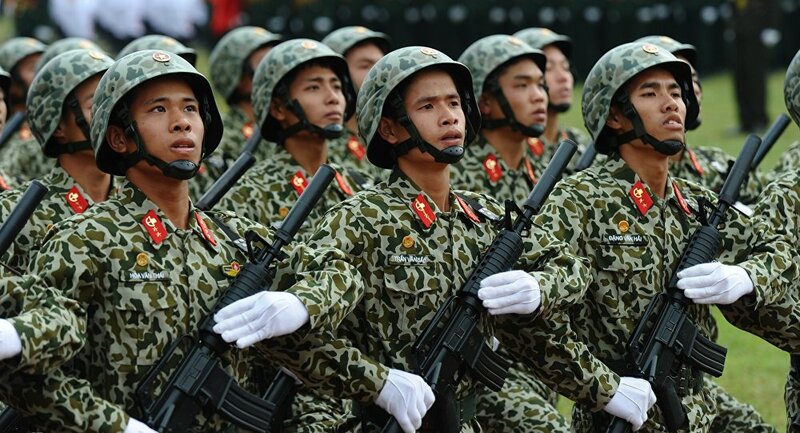 Le Van Cuong military expert and a major general of the Ministry of Public Security told Sputnik Vietnam that the US military weapons are expensive and the Vietnamese Army will continue using older Soviet-made weapons. "In our practice of military actions we were convinced that US weapons are worse in their characteristics than the Soviet ones, besides they are much more expensive,” Le said. He added that the Vietnamese Army is mainly equipped with Soviet and Russian weapons and the Vietnamese military knows these weapons, as it also has everything necessary for its repair and maintenance. 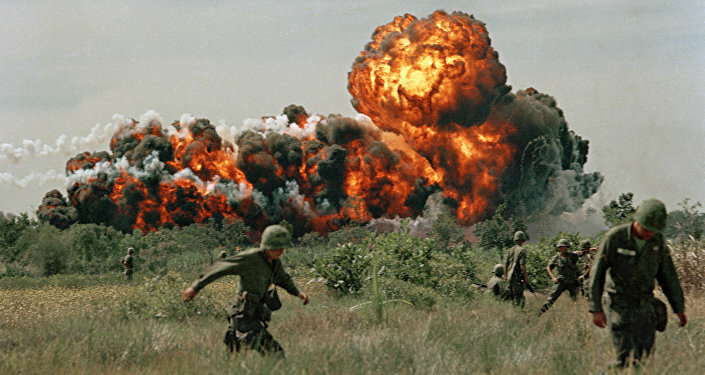 However, according to the major general, at present the Vietnamese Army is modernizing itself and may purchase a small amount of the most modern US weapons, “but there is no question of any mass supplies; Vietnam will remain faithful to the proven Russian weapons,” Le said. Vietnamese historian and political analyst Vu Minh Giang in an interview with Sputnik Vietnam also stressed that US weapons are too expensive for Vietnam and the country is focused on cooperation with all of its partners: China, Russia, US, India and other countries in East Asia. Vu said that the visit of a US aircraft carrier to the port of Cam Ranh next year is a demonstration of the multilateral nature of Vietnamese military ties. “After all, the port which is located in one of the most convenient bays of the world, has welcomed ships from different countries including Russia and China,” Vu said.